At a site for displaced people in Pulka, northeast Nigeria, families arrive daily seeking safety, shelter, food, and clean water. Numbers tell only part of the story. Behind the statistics lies the anguish of parents struggling to keep their families alive. Across Africa and in parts of the southern Arabian Peninsula a massive hunger crisis is threatening the lives of 30 million people. 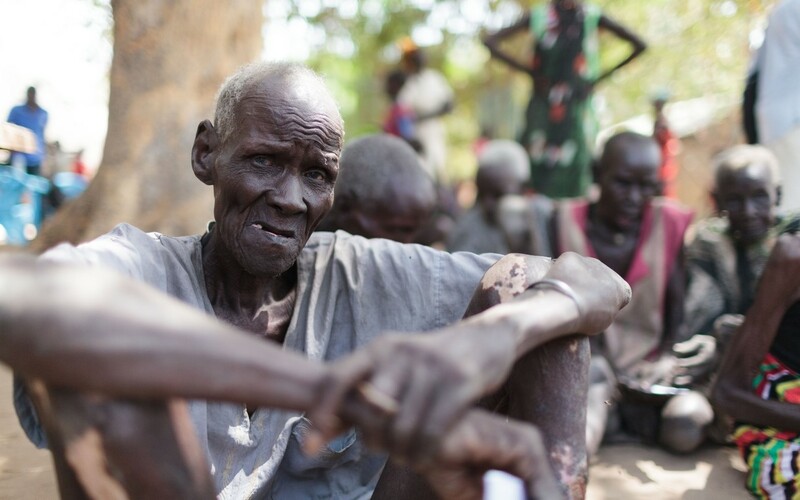 Some of them in an area of South Sudan are already enduring famine conditions. The scale of this disaster is shocking. But numbers have a way of numbing us. They can be too massive to personalise—until you listen to the stark words of a father unable to earn enough to feed his family or hear the anguish of a mother too hungry herself to produce milk for her newborn. With stories, statistics hit home. 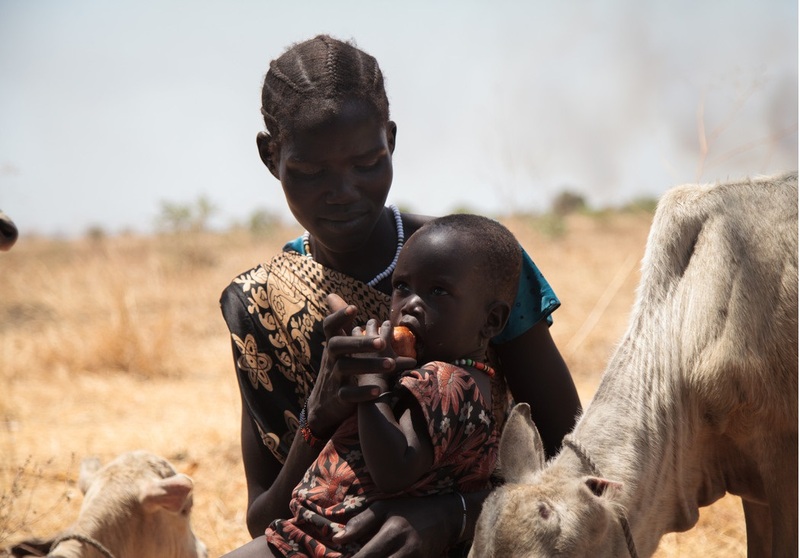 In the photo essay below, you’ll meet some of the people struggling to survive the conflicts, drought, and terrible hunger crisis those events have triggered. 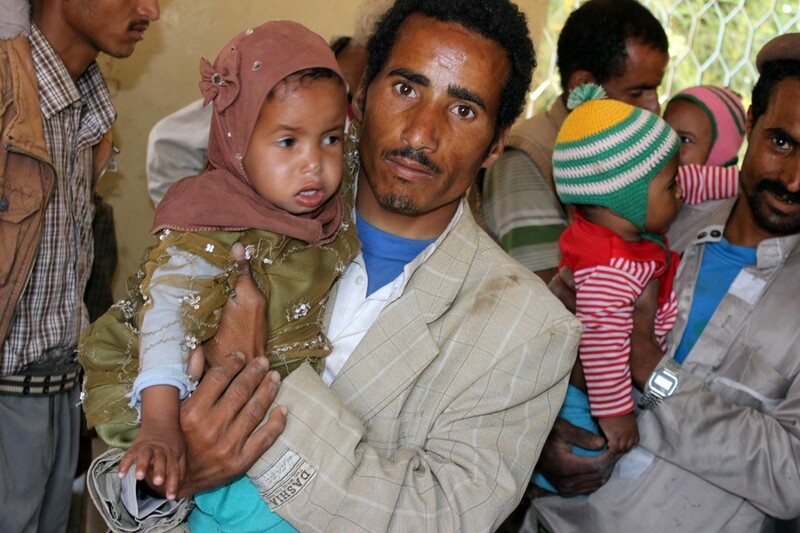 Ahmed, 45, and Dolah, 40, live in Khamer City, Yemen, with their eight children. Their sole source of income is Ahmed’s cobbling, but most days, he returns from the market empty-handed. Dolah goes begging at the market, hoping to collect some money or bread for the children, but she’s usually faced with verbal harassment. 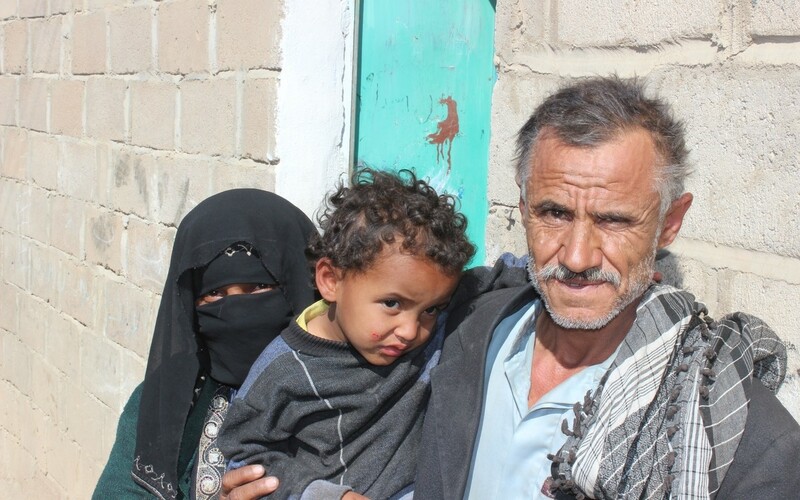 They hope that the war will end soon so that their children can sleep safely, free of hunger. Majok is waiting to register for a World Food Programme distribution later in the month. He is one of hundreds of people moving from the islands to the mainland in Nyal, South Sudan, in search of food and safety. Younger family members had to help carry him during the one-and-a-half-hour trek through the swamps to make sure he was physically present for registration. 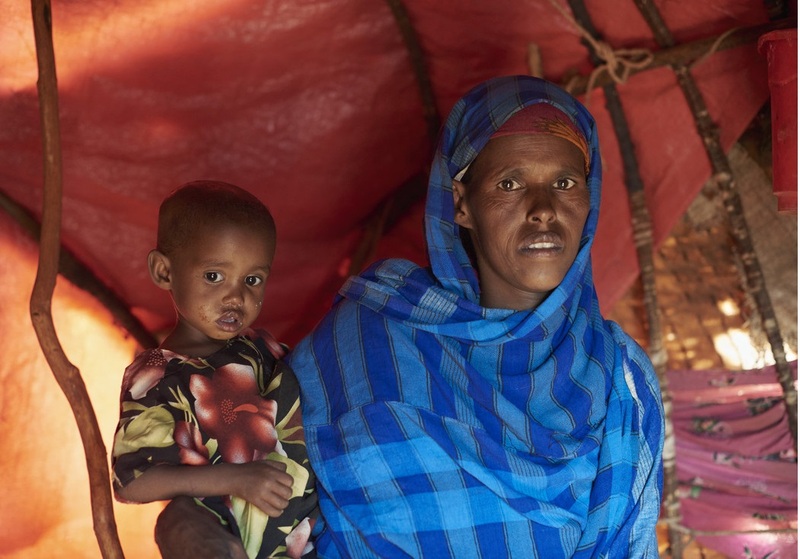 Eighteen days before this photo of Deqa was taken in Somaliland in northern Somalia, she gave birth to her sixth child, a son who has been experiencing stomach troubles. At the moment, Daqa, who is 26, is on her own: Her husband is away tending to a goat and the single camel they have left from their herd of 200. “We eat once a day—only rice,” she said. It’s not nearly enough to meet the needs of her growing children. “I give them tea and water to fill their stomachs,” Deqa added. 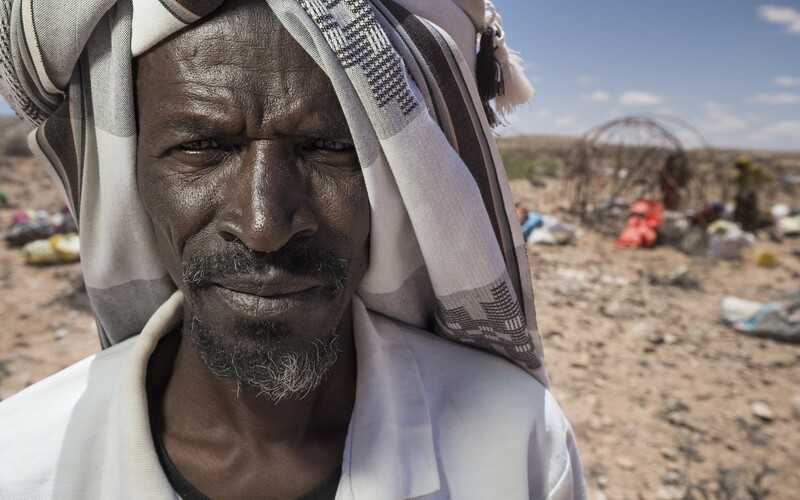 “Water is our main worry,” said Adan, a 58-year-old herder who has resettled in the Garadag district of Somaliland in northern Somalia with his five children. The family has moved many times in the past six months in a constant search for water. “We came here because we wanted to be closer to a water point, but the women have just got back and the water they collected is so hard and salty that we cannot even use it to dissolve milk powder. We cannot give milk to our children,” he said. 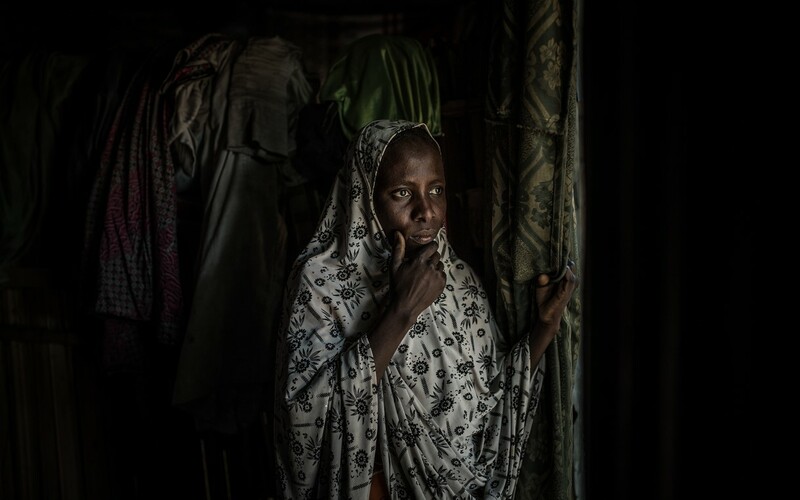 When Boko Haram attacked her village in Nigeria during a wedding—taking the bride and other women—Yana, 27, fled with her four children. She now lives in the Kawar Mali ward in Maidiguiri, once the epicentre of the Boko Haram insurgency before the army expelled the group. Today, thousands of people displaced by the violence have found refuge in the area. Fighting famine in East Africa, Nigeria and Yemen. Join us. Across the world, millions of children, women and men are starving due to a devastating food crisis. 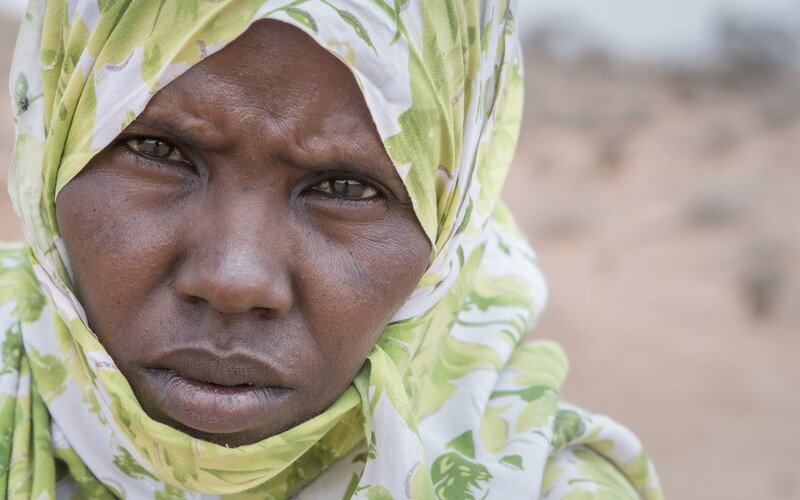 A catastrophic combination of conflict and drought has left them facing terrifying food shortages – and there is no end in sight. In Ethiopia, Kenya and Somalia in East Africa, more than 19 million people are on the brink of starvation, while war in South Sudan has forced more than 3 million from their homes, and left millions more desperate for food. In February of this year, South Sudan became the first country in the world to declare famine since 2011. In the Somali region of Ethiopia, Fadumo lost three of her children – her triplets – to malnutrition when they were less than a month old. The 32-year-old farmer said: “They died because of a lack of food – they were malnourished. They were less than one month old. First one child died, then two more. I was afraid. Meanwhile, the drought has claimed two-thirds of her livestock. 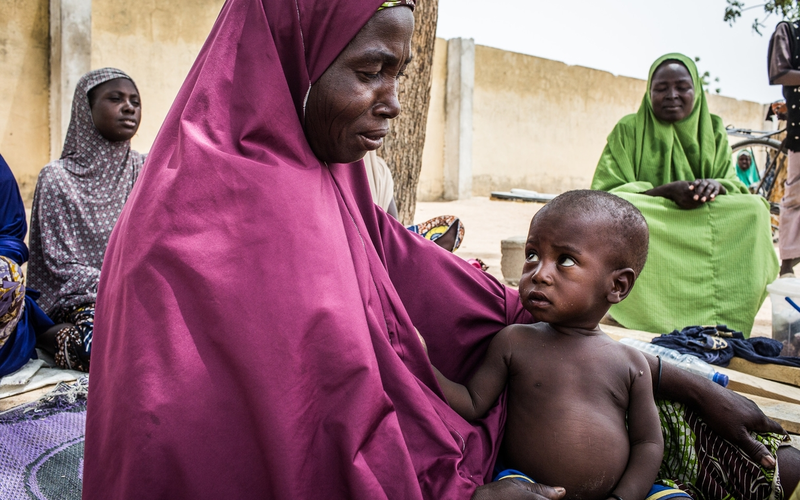 Elsewhere, parts of Nigeria – where at least 4.4 million people are experiencing crisis levels of hunger – are also thought to be in the grip of famine. However, the situation in the country is so volatile due to conflict that it has been almost impossible to confirm that famine has taken hold. And in Yemen, ongoing fighting between pro-government and rebel forces has left more than 17 million people on the brink of starvation. Without a massive humanitarian response, it will be impossible to avert famine. Millions of people – in different parts of the world – have one thing in common: they are all experiencing the devastating impact of severe hunger on a daily basis. Oxfam is supporting communities facing famine and hunger by distributing emergency food supplies and providing clean water and sanitation as well as providing cash or cash vouchers so people can buy what they need locally, supporting local business. We are working to prevent fatal diseases such as cholera by getting clean water to the most vulnerable, and to support them get their crops growing once again so that they can feed themselves and their families. 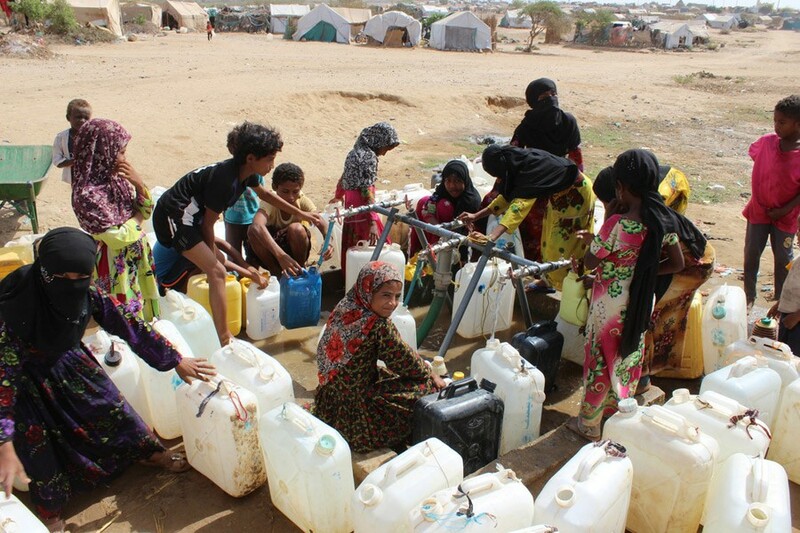 We are already helping over one million people in Yemen, more than 600,000 in South Sudan, over 300,000 in Nigeria, 255,000 people in the Southern Somali region of Ethiopia and plan to begin a response to the drought in Somalia. In situations where hunger and malnutrition are rife, it is usually the children who suffer the most. 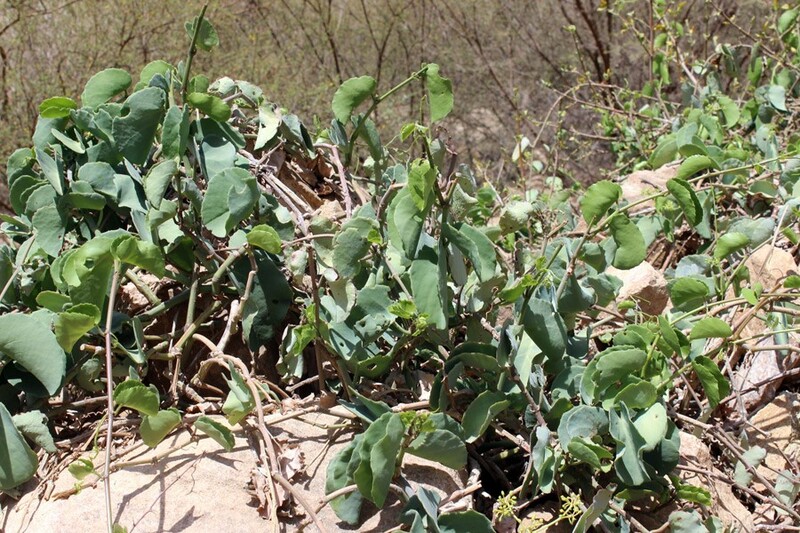 Even if they manage to survive prolonged periods of extreme hunger, they often pay the price in the long term as they lose their immunity and their ability to fight disease. Like countless other infants and children in South Sudan, Tabitha’s baby daughter is in danger of becoming severely malnourished. Tabitha’s daughter is sucking on a dry “Tuok” – a dry seed from a type of palm tree which is eaten when there is nothing else left. Tabitha fled with her baby to seek refuge in Garbek, a small community in Unity State, after they were chased out of their home when violence broke out. Now, with food so scarce, Tabitha is desperate – and resorts to eating whatever she can get her hands on. “We feed on water lilies, fish and anything we could find in the river,” said Tabitha, who also lost most of her animals during her journey. We’re determined to act quickly to ensure that mothers like Fadumo and Tabitha do not see their children go hungry. We have already reached many thousands of people with food, water, sanitation and support – but we are most concerned about the people we have yet to reach. 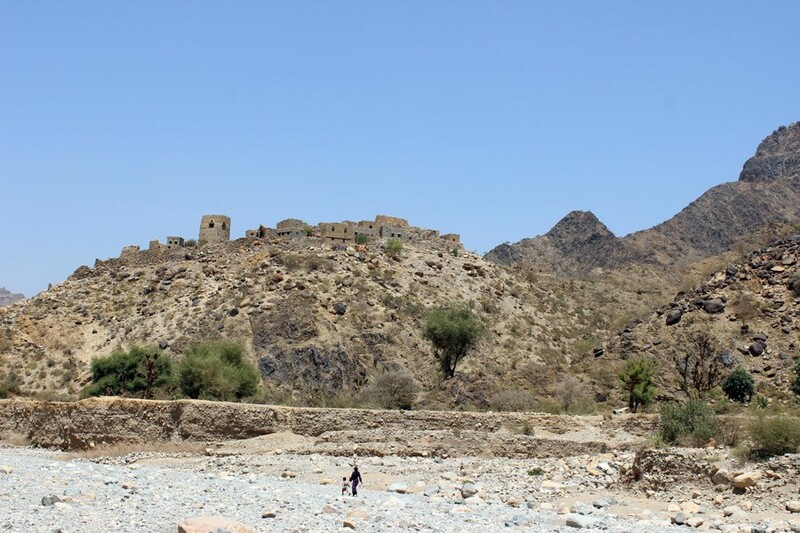 Read more about Fighting famine in East Africa, Nigeria and Yemen. Join us.